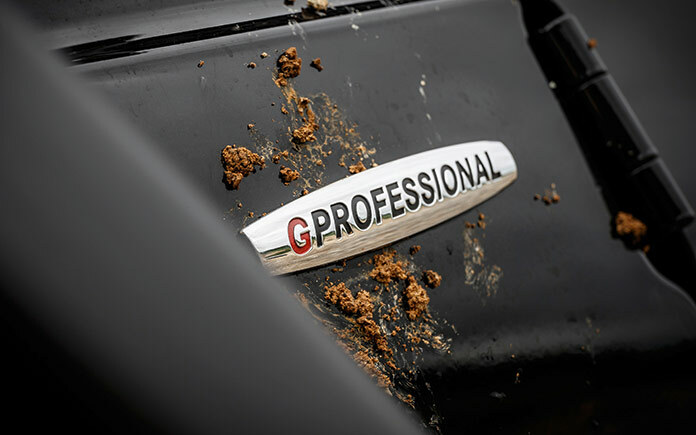 With a striking exterior and optionally available Professional Off-Road package, the new G 350 d Professional is ideally suited to gruelling off-road use and professional applications. 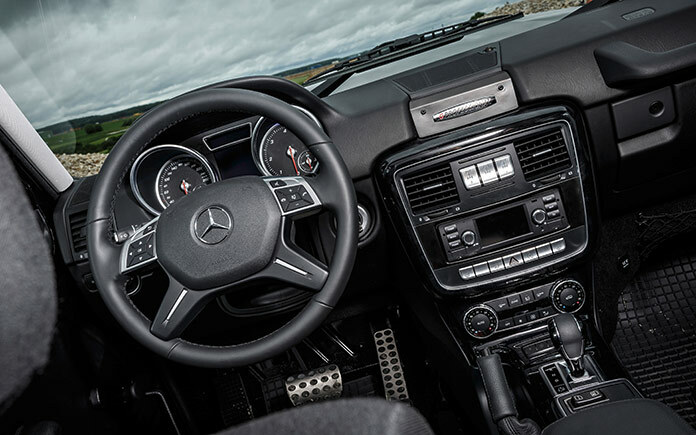 Compared with its predecessor, the G 350 d Professional offers a new, functional interior and luxurious ride comfort. 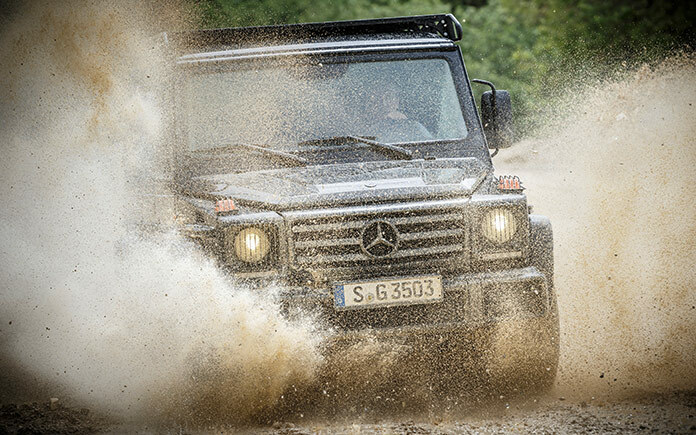 All the other G-Class models benefit from a technology update for the infotainment, navigation and communications. 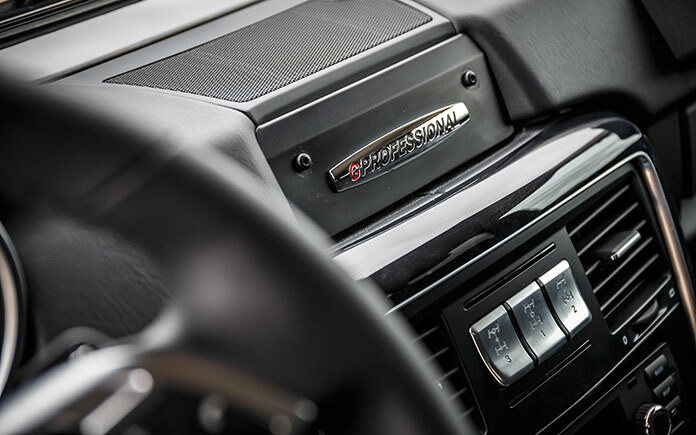 Additional options for the interior and exterior further enhance the individuality and comfort of the classic cross-country vehicle. 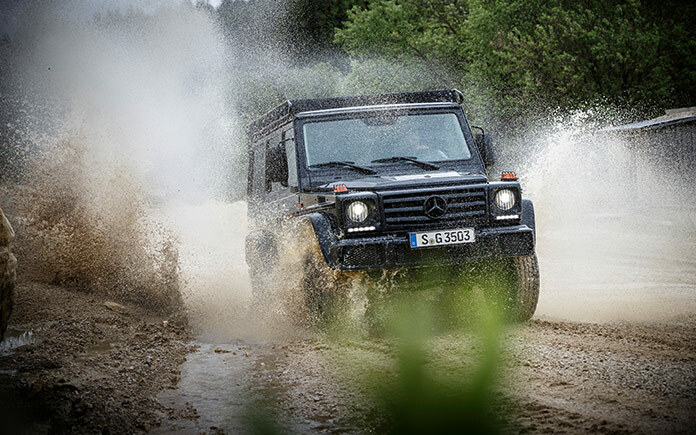 Making its debut as a purpose-built cross-country vehicle for robust off-road use in 1979, the G‑Class has been further developed into the luxurious all-rounder. Ongoing design and technology modifications make the legendary “G” fit for the future while piquing the interest of the worldwide, loyal fan base. The current model line-up ranges from the all-rounder with V6 diesel engine to the range-topping V12 model from Mercedes-AMG. With the new G 350 d Professional the Stuttgart-based automotive manufacturer now once again has a cross-country vehicle in its portfolio which, thanks to its pronounced purist design, stands out from the other G-Class models, making it the ideal companion for challenging off-road use and adventurous, off-the-mainstream expeditions. 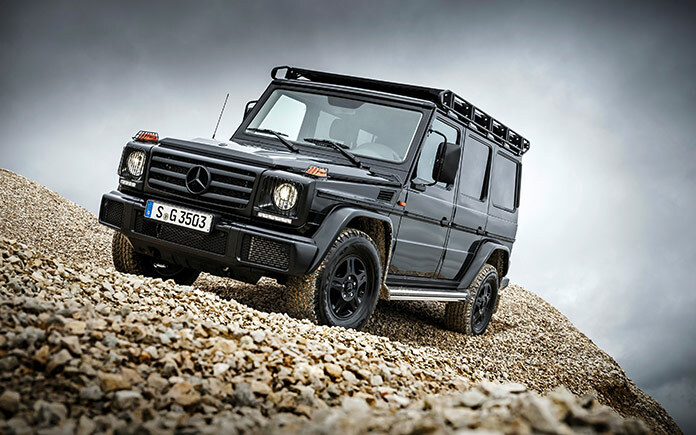 Like all the other G‑Class models the G 350 d Professional also benefits from the sturdy ladder-type frame body, permanent all-wheel drive with off-road ratio and three electrically selectable, 100‑percent differential locks. The V6 diesel engine with 2987 cc of displacement offers superb traction. While the engine output of the G 350 d Professional was increased by 33 percent to 180 kW (245 hp) compared with the outgoing G 300 CDI Professional, the NEDC fuel consumption has been reduced by 15.4 percent to 9.9 litres per 100 kilometres. 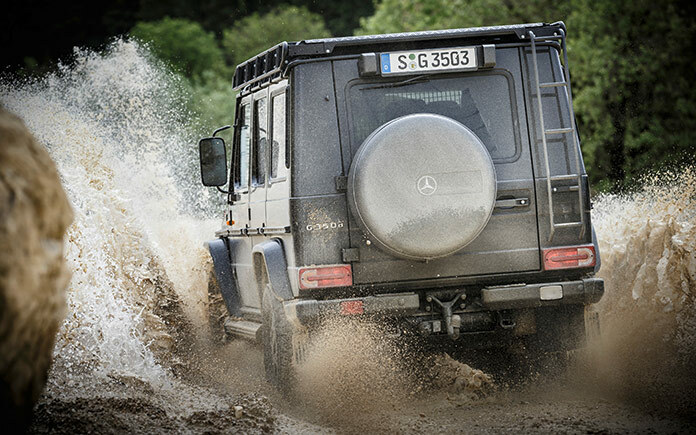 Visually, the G 350 d Professional comes across as a robust off-roader capable of mastering any challenge. Its purist design is characterised by the matt black radiator grille and the black painted light-alloy wheels in 5‑spoke design. 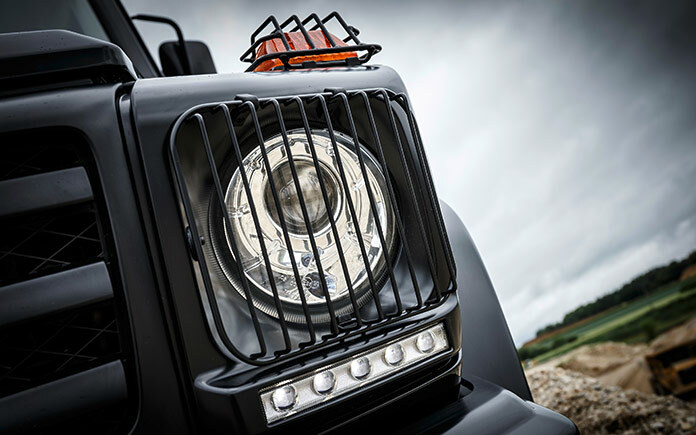 All-terrain tyres in size 265/70 R 16 ensure perfect traction even for harsh off-road use. The Professional outperforms its technical basis, the G 350 d, off the beaten track in various disciplines. Thanks to its modified suspension, which provide it with an additional 10 millimetres of ground clearance (245 instead of 235 millimetres), it takes difficult terrain in its stride. The angle of approach/departure of 36 degrees and 39 degrees respectively (G 350 d: 30/30 degrees) ensures mobility even under extreme conditions. 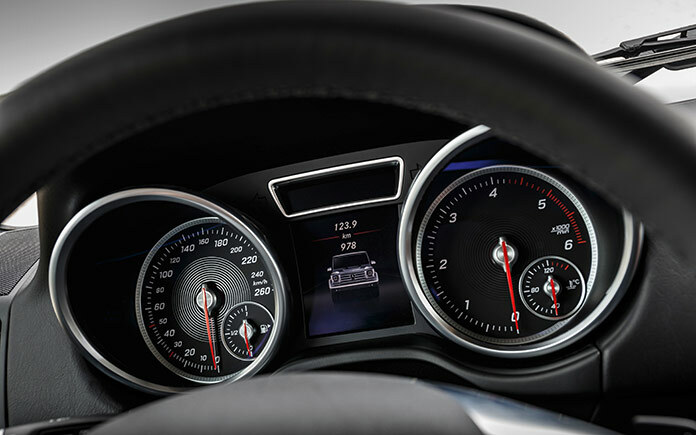 virtue of its contemporary dashboard. The outgoing model was based on the functionally oriented W461 series, whereas the new model takes its technical cue from the more comfortable W463. Thus Professional customers benefit from all the advantages, such as the high-quality equipment and appointments, greater comfort and better ergonomics. 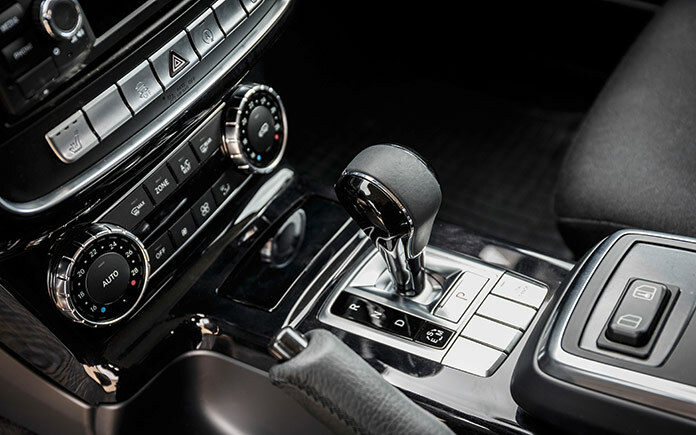 A multifunction steering wheel also comes as standard, as does the electric steering column that can be adjusted for height and reach, as well as partially power-adjustable front seats. 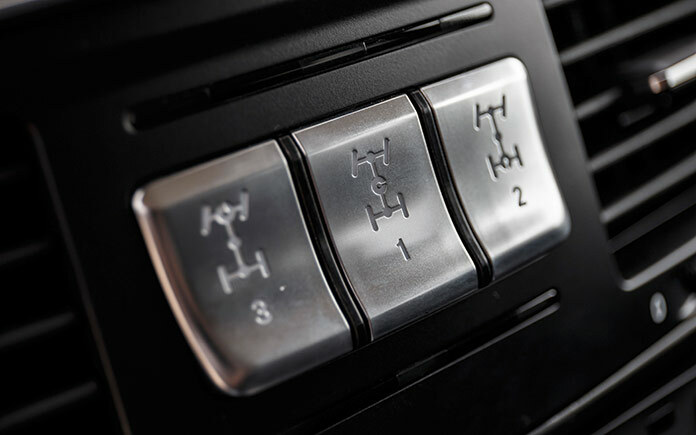 The practical aspects of off-road use are not neglected in any way, as the floor with anti-slip surface and drain demonstrates: dirt can easily be sprayed off and the interior thoroughly cleaned. Two non-metallic paint finishes and eleven attractive metallic paint finishes are available for the G 350 d Professional. 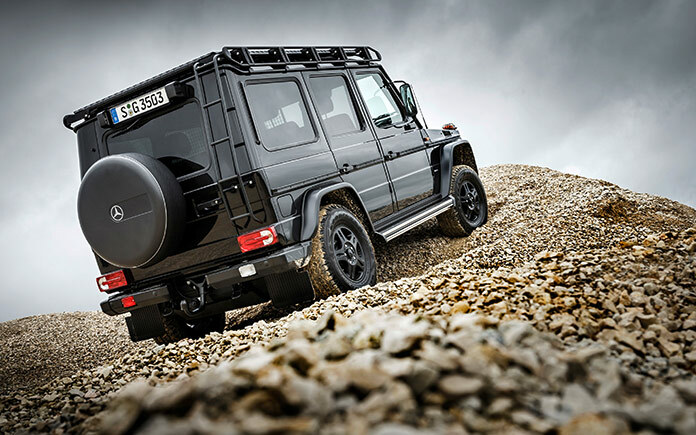 The off-road icon expresses its unmistakable style with exclusive special paints such as desert sand or china blue, reminiscent of “Otto”, the G-Class owned by Gunther Holtorf, who impressively demonstrated the capabilities of the G-Class during his world tour.